Oslo Gardermoen Airport. Image courtesy of Shutterstock/EQRoy. PG Flow Solutions has won a contract to provide a cargo pump to Gardermoen Fuelling Services AS at Norway's Oslo Gardermoen Airport. The pump will be used to load fuel onto fuel transporters that provide fuel to aircraft at Oslo Gardermoen Airport. It replaces a similar pump which was delivered by PG Flow Solutions more than 20 years ago and has worked faultlessly 24/7 since it was installed. “Although PG Flow Solutions is probably more renowned as a supplier to the offshore industries, we have supplied liquid handling and pump solutions to land-based industries for several decades. Our pump systems offer the highest level of reliability, and the fact that our service facility is located only one hour from the airport offers additional safety in this particular instance,” said Marius Martinsen, Head of Sales, Lifecycle Services at PG Flow Solutions. The cargo pump that PG Flow Solutions will provide is a two-spindle screw pump/positive displacement pump with a capacity of 450 cubic metres fuel per hour. 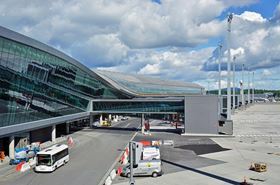 The company will deliver it as a skid-mounted system, including the pump and engine that can be quickly and easily connected to Gardermoen Fuelling Services’ existing infrastructure.